Must Read Mysteries: Pam Stack Guest Blog: So, What About Those Book Reviews? Pam Stack Guest Blog: So, What About Those Book Reviews? SO, WHAT ABOUT THOSE BOOK REVIEWS? Lately there have been a lot of comments made about the quality and quantity of book reviews on sites like Amazon. There is a general discussion among writers and professional reviewers about authors who may be writing reviews for their own work under a pseudonym. If this is true, it’s a shame because it diminishes the words of a true book lover who reviews books as a profession and the words of every day readers. I’ve been wondering then, why do we care so much about reviews and who really benefits from them? Do we need professional reviewers, or should writers only insist that their customers post book reviews? Which are more necessary? Which are more, dare I say it, legitimate? Being a voracious reader myself, easily breezing through over 300 books a year, it wasn’t until I began to interact and speak to authors that I recognized that I could write a pretty decent review if I put my mind to it. So, that’s what I did. Once I became the host for Authors on the Air, an internet radio talk show, I wrote reviews more seriously, as I wanted authors to know that I had actually read their books and understood their style and POV. Since my early days of posting my reviews as simply a “consumer”, I have established rules for myself as a more “professional” reviewer. I will not write a review that won’t garner less than 3 stars; I will always be honest as my credibility is as stake; and I will never review a book because an author simply asks me to. I ran into an ethical dilemma there and have blogged previously about it. On my Facebook page for Authors on the Air as well as my personal page I recommend books to my friends and that got me thinking about reviews. My friend followed my advice to read a Brett Battles book and she loved it. I suggested that she write exactly that same statement on Amazon, where she purchased the book and thought that her comments might be more appreciated by the author than those of a professional reviewer. Interestingly enough, Brett posted that he agreed. So, what do you want, authors? I know you like those long wordy reviews we love to spout out and yes, they do help, I think, to perhaps guide sales of your books, however marginally. But does that diminish the impact of the everyday reader who takes the time to write “hey, I’ve never done this before but…I loved your book?” Which would you rather see? And readers, which review would you reply most upon? The review that’s rather long and and wordy or would you prefer to see what the “average Jane” has to say about an author’s work? And, do reviews really matter? 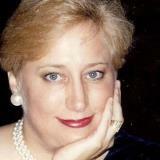 Pam Stack is the host and producer for Authors on the Air, live radio interviews, at www.blogtalkradio.com/authorsontheair and a motivational public speaker. She can be reached at authorsontheair@gmail.com. There was quite a bit of discussion of this post on the facebook page, reproduced below. Kath Baer: I have such a hard time with reviewers that will only give good reviews, although I understand the mindset. I think it totally negates the point of a review. Andrew Peters: I only accept 5* reviews for my books. Anyone else gets a visit from Viktor, and has things explained to them. I see little point in writing purely negative reviews, since I'd probably never finish a 1 or 2* book. The spiteful 1* review says more about the reviewer than the book. Quite often, it means you chose the wrong book....it would be stupid of me to start slagging off every paranormal romance on Amazon...it's just not my thing. With free stuff, a lot of people jump on it without looking too hard, then get annoyed because it's not their scene. Generally I read the synopsis, the free chapters and some of the middling reviews before I decide on a book. Kath Baer: I'm not an author, and never think of reviews being for an author. I think of them as tidbits left behind for other readers (consumers). Andrew Peters: Authors can (and should) learn from constructive reviews. Fred Yoder: I only good reviews, as I only read books that I know I will like. I try to review what the book is about, and let the reader decide for themselves whether it is well written. Just because I think so, doesn't mean all readers will. The reviews I get upset with are the ones for an established author, that the reviewer says writes like a high school student. Pam Stack: Andrew Peters - you are the person I would be afraid to write reviews for. LOL. You're the one person whom I believe the bark really IS worse than the bite. Having said that, with tongue firmly planted in cheek, may I say that I agree with you about reviews being very subjective. Pam Stack: Kath - you make some very valid points and I believe that you're correct that reviews on a consumer's purchase site like Amazon should be by and for the other consumers. Pam Stack: SO - ARE BOOK REVIEWS IMPORTANT TO READERS AS MOVIE REVIEWS ARE TO MOVEIGOERS? Must Read Mysteries: There are tricks to interpreting the negative reviews too. Most of the early reviews for a book are likely to be positive because the reviewers tend to be people for whom the sub genre is a sweet spot (though there are exceptions like the more recent books from Janet Evanovich and Patricia Cornwell, where long time fans see declines or lack of growth). Once a book moves beyond its niche you tend to get more of the negative reviews that say more about the reader than the book, though that can be important information for a consumer. A good example is "Gone Girl", which initially had mostly glowing reviews, but then once it got huge there were a bunch of "I hate it because the characters are not likable" types of reviews. Well, if you need likable characters in your fiction than "Gone Girl" probably was not a good choice to read. Those reviews are perhaps unfair to the book, but are useful for the consumer. Kath Baer: They are for me, probably more so. As I read much more than I moviego! Kath Baer: Agree wtih MRM completely, also. Kath Baer: I also tend to follow reviewers that Ive agreed with in the past to help me find books I would enjoy. Andrew Peters: Pam....you could write what you like, I have a 100% policy of NEVER commenting on a review, unless it highlights a technical problem , in which case I thank them, fix it and send another copy. Pam Stack: My thoughts exactly, MRM. Do we agree then that reviews are subjective? If so, MRM is correct that the more negative reviews DO generally come from folks who have stepped outside their comfort zone and tried another genre or a book that didn't fit them quite well enough. And your analysis using GIRL GONE is perfect. I was blown away by the first half of the book and then the wheels came off the cart for me in the following chapters. Thus - no review from me! Kath Baer: Reviews are always subjective on anything, really, whether it's a book or a washing machine. Kath Baer: Oh Lord help us, now look what she did. We just got his head to fit through the door!! Pam Stack: I'm not sure that's correct Kath re: books v washing machines. That machine has parts that have measurable standards whereas a book does not. Fred Yoder: Still style is judgmental to the reader. Since I am not an author, nor have no ambition to be, who am I to tell the author to go back to 6th grade English? For me, it is more important to read what the story is about, rather than how many time a comma was used, when it should have been a semi colon. Maybe my problem is that I am a reader that wishes to be told a story, rather than college professor grading creative writing papers. Pam Stack: Speaking of 50 Shades - every reviewer I know and every review done by a professional panned the book as seriously horrible yet that did not impact not only the sale of the book, but impede the optioning for TV or movies. As for the popularity of the book, it is my thought, after a big discussion the other with friends, that a certain demographic went and purchased a book they HEARD about but they weren't originally big readers. It is not the same demographic or mind-set as, let's say, the Harry Potter purchasers. Those were folks who enjoyed reading to begin with. Must Read Mysteries: I think there are objective elements both for washing machines and books. While individual experiences with washing machines/cars etc. will differ, in the aggregate reliability can be very different, which is why data collected by places like Consumers Reports can be useful. For a book you have basic spelling, grammar etc. Pam Stack: Fred - you are ABSOLUTELY my case for why reviews/books/reading is subjective. Well said. Pam Stack: Thanks for the feedback folks. MRM brings us some good stuff, don't they? Thanks MRM. Kath Baer: Ah, bad grammar isn't style to me. It is the most annoying jolt to have to read a sentence 3 times to figure out it's meaning because the grammar is so poor. Style is something else entirely and that part would be subjective for sure. Kath Baer: Always enjoy your guest blog posts, Pam. Thank you! Must Read Mysteries: Yes, style is something else entirely (and sometimes bad grammar can work with it). I enjoy James Ellroy's staccato style, though I can see how it would totally put off someone else. Must Read Mysteries: Yes, Pam, thank you!...and keep the guest posts coming! Pam Stack: Thanks. Usually I end up talking to myself, which I find boring, but this was a lot of fun. Thank you again. I've been posting reviews as "bksrmgc" on Amazon, and other sites including some print publications, for several years now. I am a Top 1000 reviewer on Amazon.com, and a Top 500 Reviewer on Amazon.UK and Amazon.CA. My reviews are for readers; they are my honest opinion and I try to explain why I feel as I do, particularly with a negative review. I work to avoid spoilers, and I never criticize the author, only the book.